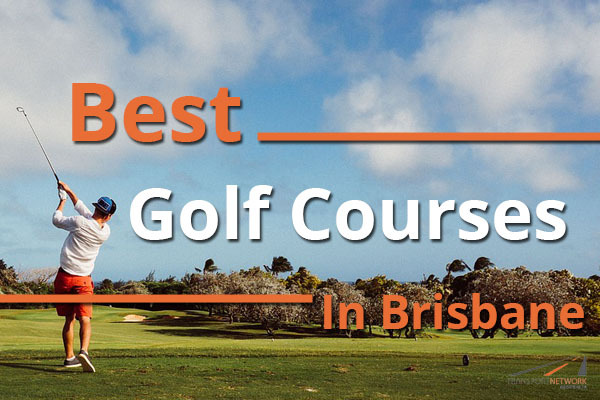 With spectacular scenery from enchanting bushland to river panoramas, Brisbane is an ideal place for golfing. The local greens and fairways make it an idyllic setting that you can hardly find anywhere else. Soak up the fresh air and sunshine as you pursue a satisfying round of golf with some of the best golf courses in and around Brisbane. All you need is premier coach hire to help you visit a few of these immaculate golf courses, renowned across the country and the world. Just a couple of kilometres from the Brisbane CBD, the Victoria Park Golf course is the city’s home to an enthralling golfing experience. With state of the art facilities and friendly service, this fun spot includes an 18-hole public course, along with dual level day and night driving range. In addition to the licensed golfing track, there is a retail golf shop and a golf-learning centre as well. The elegant Bar & Bistro offers exceptional alfresco dining with stunning views of the city skyline in a pleasant outdoor dining experience. There’s also a world-class function venue within the premises of the Victoria Park, which can be booked for any special occasion, including wedding, engagement or birthday. Offering breathtaking views of the skyline and those of the rolling lush green hills, the function spaces offer a striking impression of an affluent setting. Hardly half an hour’s drive from Ipswich and Brisbane, the Brookwater Golf and Country Club is a golfing delight for the players. Designed by the champion himself, Greg Norman, this renowned 18-hole golf course is a must visit for players of all abilities, as evident from the fact that many amateurs and professionals from across the country come to play here. The standard track is staged among the rippling hills, with enough bushland covering the place to create some privacy for players. To facilitate effective practicing, there are challenging bunkers with long, narrow fairways. Surrounded by a residential community, this golf club is open to public. Once you are done with the game, enjoy delicious food or drinks at a sophisticated modern restaurant and bar, The Brookwater Glasshouse, offering stunning views of the course and the surrounding scenes. The century-old Bribane Golf Club was established in the year 1896, and has become a premier golfing spot for players across the country and the world. Thanks to the founding members, they had a great foresight to build an exceptional golf course together with culture and traditions that has crafted the peculiar combination of challenging game with unmatched sportsmanship among the members. The heritage listed Clubhouse is adored by the members, with its 18-hole championship golf course been ranked as one of the top 100 golf courses in the country. Also, this is the only track in the entire country with Champion Greens, which is basically a putting surface that you would generally find in majority of U.S. Golf Courses. It is the home of the Isuzu Queensland Open, and had been recently rated as the most favourite golf course in Queensland. Located 50 minutes towards the north of Brisbane, this golfing haven is an absolute beauty. Imagine yourself striking the ball in a magnificent subtropical country setting amid a pristine island. Ross Watson, designed this golfing paradise on the Bribie Island, with a par-72 course, covering 6402 metres. The ambiance is enticing enough to attract professionals and amateurs alike. Everything that you need for a first-class golf track has been incorporated here. The rippling greens, reflective lakes, native trees and wide-swept bunkers create a smooth experience for players in a pristine setting that discovers the natural elements of the island. Other facilities include a swimming pool, health and beauty services, tennis courts, gym, golf shop, function rooms and a bar. Tucked nicely in a peaceful, scenic setting, the North Lakes Resort Golf Club is one of the best in Queensland. Designed by Graham Marsh, the track lies in the vicinity of natural wildlife with sublime greens ensuring a steady putting surface. The subtropical climate favours the players on ideal play days. Just half an hour drive from the north of Brisbane, the golf club offer friendly staff, exceptional practice areas and full-service restaurant. Known to be one of the leading golf courses in the South East Queensland Regions, the Carbrook Golf Club is a scenic located beside the Logan River. This is surely one of the deadliest tracks in the country, with the only golf course in the world with resident bull sharks. This 6127 metres, par-71 course has hosted important events ever since its inception. The course has an eclectic style of rolling greens, including holes that feature water hazards using the natural landscapes. It can be both friendly to a novice player as well as challenging for the seasoned campaigners. Throughout the year, the greens remain in their best shape, by virtue of the outskirt setting, far away from the hurly burly of the city. Located alongside the Brisbane River at the end of Curtin West Avenue in the Eagle Farm, the Royal Queensland Golf Club is a 10-minute drive from the city. Having hosted Australian Open thrice ever since its foundation 1920, it was initially known as the Queensland Golf Club. The original course was crafted by Carnegie Clark, and the construction of new championship course was recently concluded in 2007. The new layout has been designed by Michael Clayton, set beautifully on the northern bank of the river. This flat course has an extensive domestic and global club list including the Royal Melbourne, Royal Sydney, Royal Adelaide, New South Wales and Hong Kong. A luxury mode of travel gives you the extra comfort of travelling together with your golfing pals, while all your golf bags are stored in spacious luggage areas. So, try our luxury coach or minibus service today and travel to these golf courses in style!